Sardar Fateh Muhammad Khan Buzdar son of Sardar Dost Muhammad Khan Buzdar was born at Barthi (Tribal Area), Dera Ghazi Khan. He obtained the degree of M.A. (Political Science) in 1964 from Karachi University. 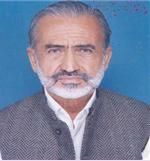 An agriculturist, who served as Member, Federal Council, Majlis-e-Shoora during 1983-84 and as Member District Council, D.G. Khan. He is the Chief of Buzdar Tribes, Tribal Area and Baluchistan. He served as Member Punjab Assembly during 1985-88; has returned to Punjab Assembly in General Elections 2002 for the second term; and is serving as Chairman, Standing Committee on Religious Affairs and Auqaf since November 12, 2003.